The Labasa Football Asso­ciation local league 2018 starts tomorrow at Boca­levu Primary School ground. League chairperson Shameer Hassan said 12 teams will com­pete in two pools. The defending champion is Black Virus FC and runner up’s Haborlite Batinikama. “Each team will play five pool games before the quarterfinal, semifinal and final,” Hassan said. 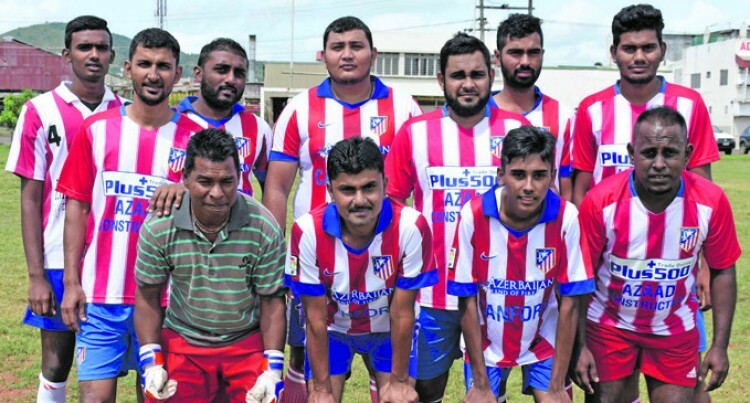 The league, which started last year, aim to support the develop­ment of the sport in Labasa. Pool B: Batinikama/H/Lite, Valebasoga Sports, Labasa Youth, Tabia, Nagigi United, Wailevu Sports. Round one fixtures: 8.30am :Batinikama H/Lite-Valebasoga Sports; 9.45 Town-Babasiga Cubs; 11 Labasa Youth-Tabia. G2: 9.45am Nasea-Police; 11 Na­gigi Unted- Sports Arena.